I recently was made aware by a very positive review of TeXPortal, a TeX Live system compiled for Android and available in the Google App Store. This is more or less a TeX Live 2013 (as far as I see) compiled for Android, with some additional features. We from the TeX Live team are very happy to see this kind of activity, and appreciate the work the developers have put into a packaging that delivers a good experience for Android users. But the crucial point here is, that this application is sold for 2374 Yen in Japan, which is a lot of money. I would be very interesting to see the source of it, as required by a lot of programs in the TeX Live bundle. 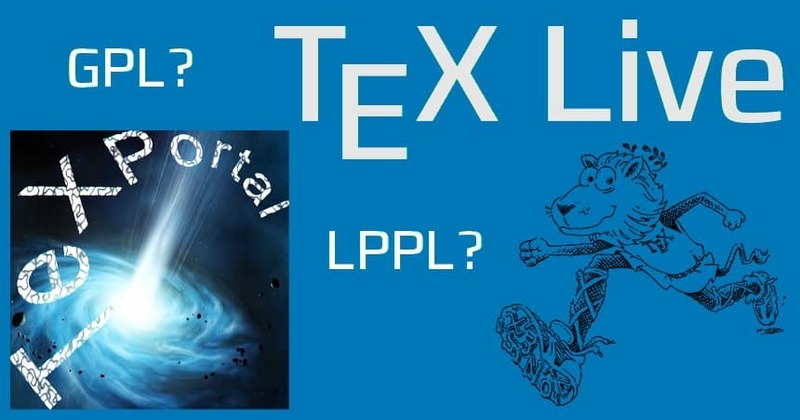 Even if TeXPortal downloads additional packages via the Internet, it ships programs like pdftex, xetex, luatex, and I am quite sure also some of my Perl modules and tlmgr in one way or the other. Selling this kind of product might be ok, but only when the full sources are provided. Although we haven’t followed up on these kind of re-use of TeX Live till now, in this case we have contacted the developers of TeXPortal and are looking forward to their answer and a satisfying solution. More information to come.